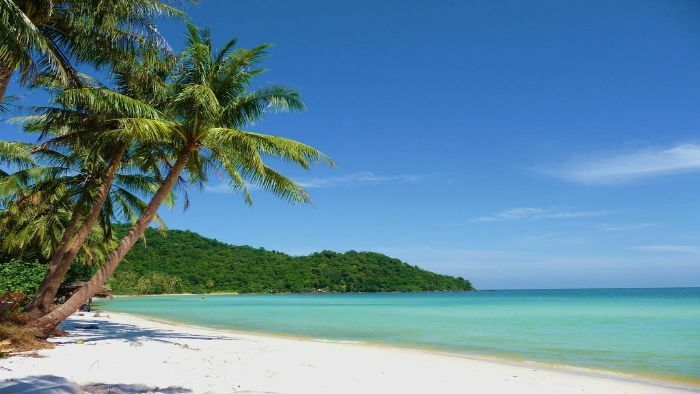 Phu Quoc (known as Koh Tral by Cambodians) is the largest island of Vietnam. 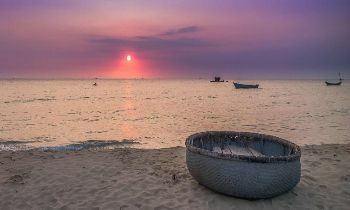 The island is a part of Kien Giang province. 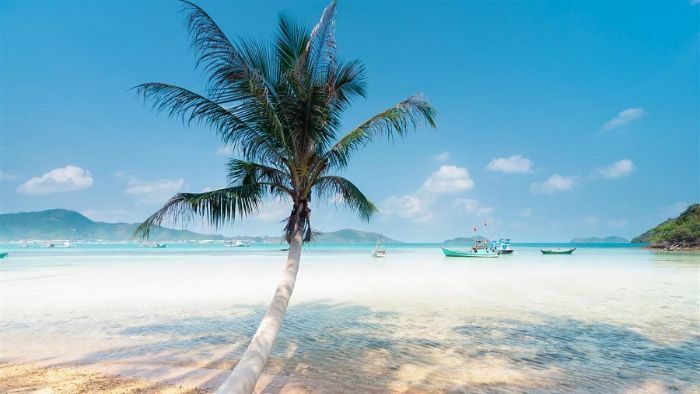 The district of Phu Quoc includes the main island and 21 smaller islets. 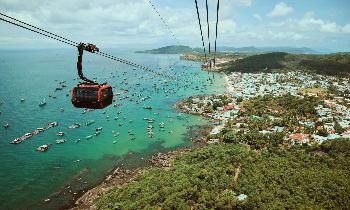 Duong Dong, which is located on the west coast, is also the largest town on this island with the total area of 574 square kilometers (222 sq mi). 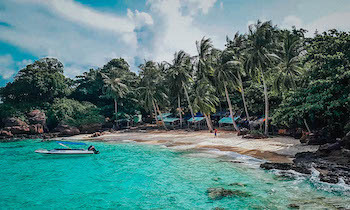 Located in the Gulf of Siam, Phu Quoc island lies just off the Cambodian coast, 62 nautical miles (115 km; 71 mi) from Rach Gia, 8.1 nautical miles (15.0 km; 9.3 mi) from Kampot province of Cambodia, and nearly 290 nautical miles (540 km; 330 mi) from Laem Chabang, Thailand. The roughly triangular shape of the island is 50 kilometers (31 mi) long north to south and 25 kilometers (16 mi) east to west in the north at its widest. 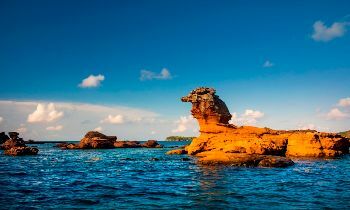 A mountainous ridge of “99 peaks” runs the length of Phu Quoc with Chua Mountain being the tallest at 603 meters (1,978 ft). 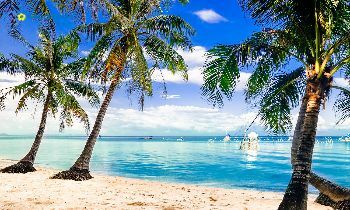 The island’s monsoonal sub-equatorial climate is characterized by distinct rainy (June to November) and dry seasons (December to May). The annual rainfall is high averaging 2,879 millimeters (9.446 ft). In the northern mountains, up to 4,000 millimeters (13 ft) have been recorded. 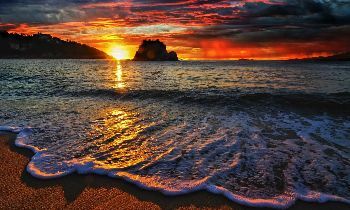 April and May are the hottest months with the temperature reaching 35 °C (95 °F). The island’s history is as old as any Asian mainland. An 1856 record mentions the island: “King Ang Duong (of Cambodia) apprise Mr. de Montigny, French envoy in a visit to Bangkok, through the intermediary of Bishop Miche, his intention to yield Koh Tral to France (cf. “The Second [French] Empire of Indochina”)”. Such a proposition aimed to create a military alliance with France to avoid the threat of Vietnam on Cambodia. The proposal did not receive an answer from the French. While the war between Annam, France, and Spain was about to begin, Ang Duong sent another letter to Napoleon III to warn him on Cambodian claims on the lower Cochinchina region: the Cambodian king listed provinces and islands, including Koh Tral, under Vietnamese occupation for several years or decades (in the case of Saigon, some 200 years according to this letter). Ang Duong asked the French emperor to not annex any part of these territories because, as he wrote, despite this relatively long Vietnamese occupation, they remain Cambodian lands. In 1867, Phu Quoc’s Vietnamese authorities pledge allegiance to French troops just conquering Ha Tien. After Cambodia gained independence from France, sovereignty disputes over the island were raised since there was no colonial decision on the island’s fate. Dating back to 1939, the Governor-general of French Indochina, Jules Brévié had drawn a line to delimiting the administrative boundaries for islands in the Gulf of Thailand: those north of the line were placed under the Cambodian protectorate; those south of the line were managed by the colony of Cochinchina. Brévié made the point that the decision merely addressed police and administrative task, and that no sovereignty decision had been made. 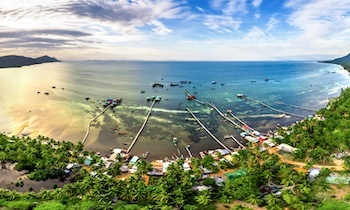 As a result, Phu Quoc remains under Cochinchina administration. 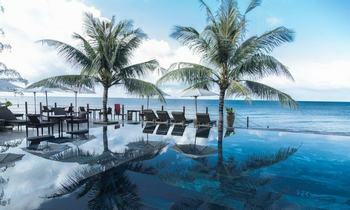 Phu Quoc has been a sleepy historical backwater most of its life. The temple on Cau rock was built in 1937. During the Vietnam War, the island housed South Vietnam’s largest prisoner camp (40000 in 1973, cf. Ngo Cong Duc, deputy of the Vinh Binh province, quoted in “Le régime de Nguyen Van Thieu à travers lépreuve”, Etude Vietnamienne, 1974, pp. 99–131). After Mainland China fell under the control of the Chinese Communist Party in 1949, General Huang Chieh led 30,000 Republic of China Army soldiers to Vietnam and they were stationed at Phu Quoc Island. Later, the army moved to Taiwan in June 1953. 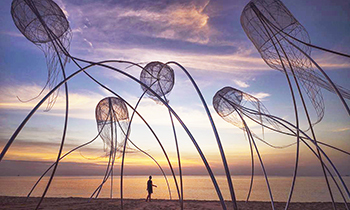 There is currently a small island in Kaohsiung, Taiwan’s Chengcing Lake that was constructed in November 1955 and named Phu Quoc Island in memory of the fleeing Chinese soldiers in 1949. In 1967, during the Sangkum Reastr Niyum, Norodom Sihanouk aimed to make the border internationally recognized; in particular, in 1967, the North Vietnamese government recognize these borders. As written in an article from Kambudja magazine in 1968 (and quoted in the Sihanouk website), entitled “border questions”, this border definition recognize that Phu Quoc island is in Vietnamese territory, even if Cambodian claims have been made later. 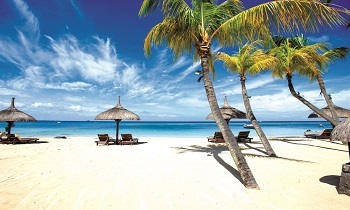 Tourism plays an important part of the economy with the beaches being the main attraction. Phu Quoc is served by Phu Quoc Airport with air links to Ho Chi Minh City (Saigon)’s Tan Son Nhat Airport and Rach Gia’s Rach Gia Airport. Plans are in progress for a new international airport for the island. 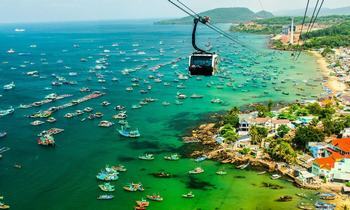 Phu Quoc is also linked with Rach Gia and Ha Tien by fast ferry hydrofoils. Air Mekong has its headquarters in An Thoi, Phu Quoc. 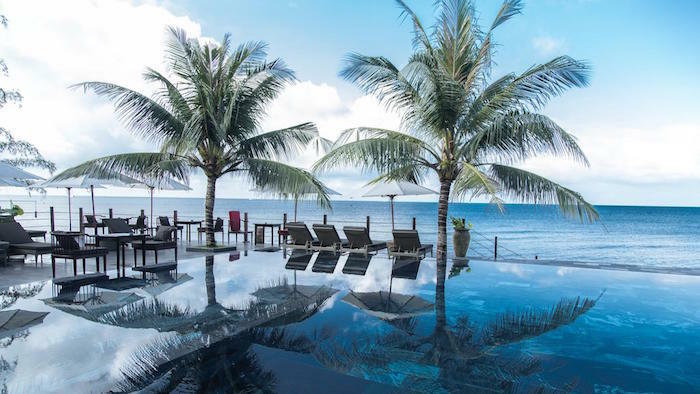 With a long history, convenient geography and the developing economy as well as the pristine beauty of beaches, Phu Quoc island is gradually becoming one of the most famous and worth-visit tourist attractions in Vietnam.